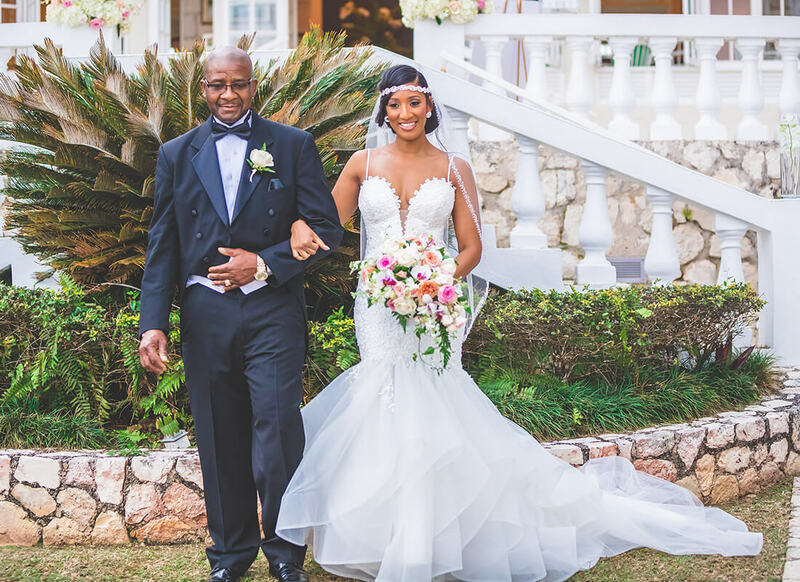 Walking down the aisle of the Tryall Club in Sandy Bay, Jamaica on February 19, 2017, Marica was ready to marry her soulmate, Rand Forrester, in a stunningly elegant gown that was the ideal companion to their tropical wedding setting. 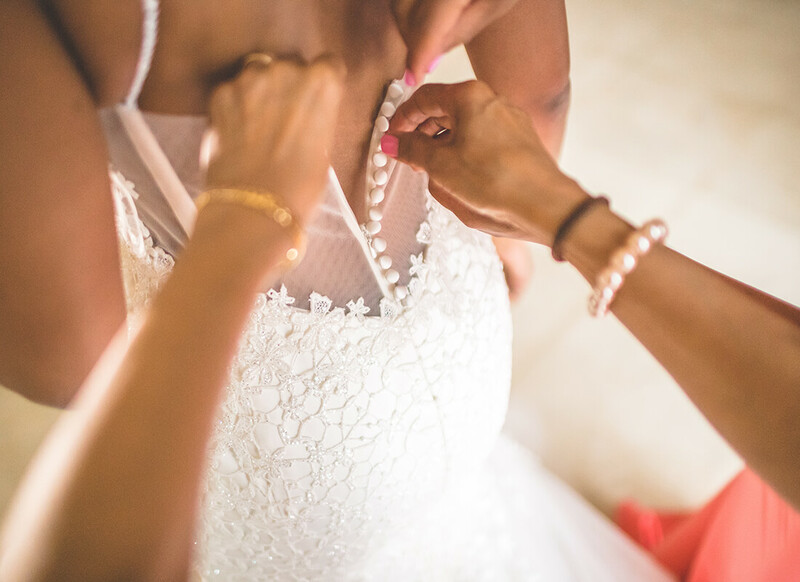 About nine months before her wedding Marica made the trip to the Pnina Tornai Boutique at Kleinfeld Bridal with her five-year-old daughter, mother, and maid of honor. 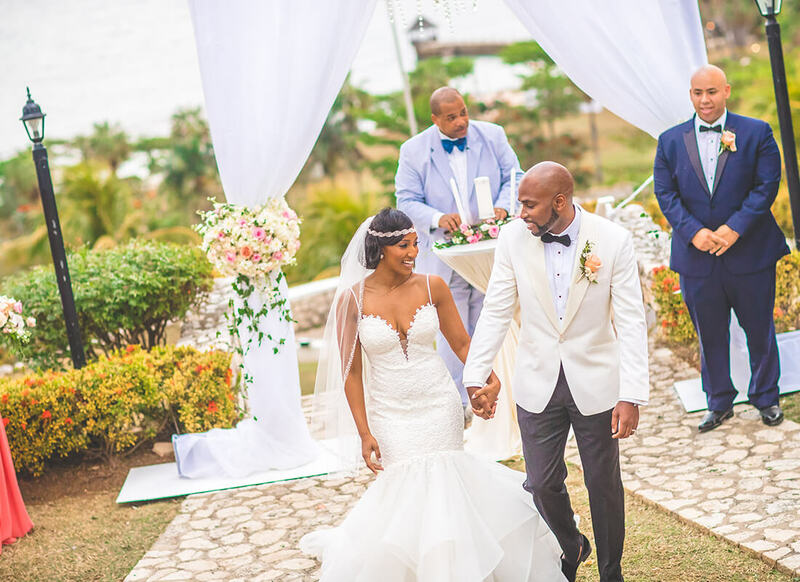 Since she was having a destination wedding in Jamaica, it was important that Marica would find a gown that would fit her exotic setting. 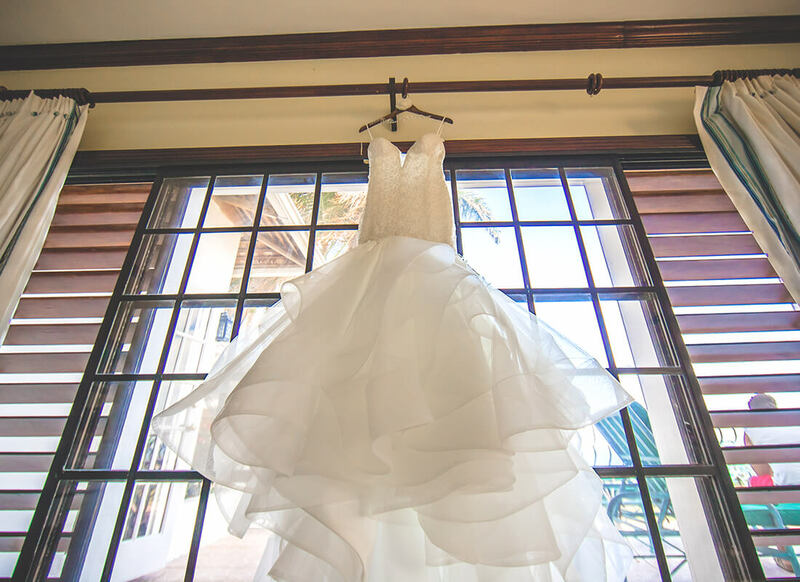 Marica was also looking for a dress with preferably an extremely long train and a unique vibe to it – a cookie-cutter gown would simply not cut it for this bride. The consultant pulled three gowns for Marica to try on that she believed would fit her special wedding requirements. 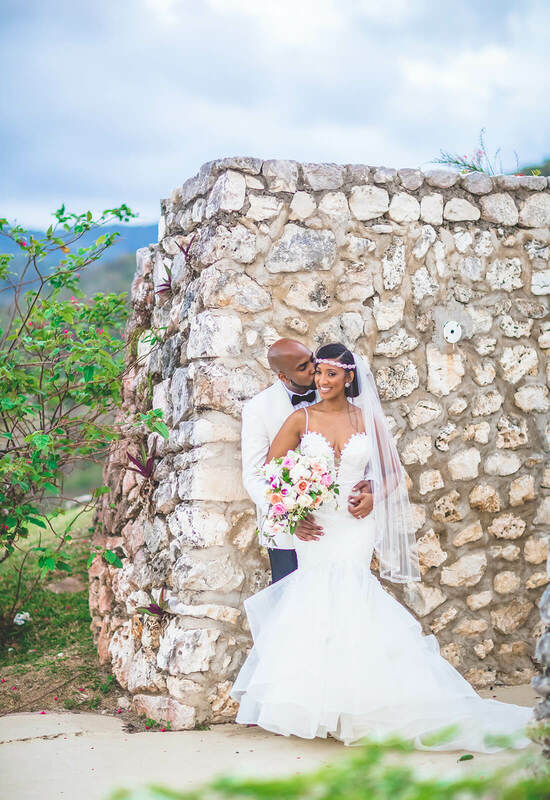 The first gown that Marica tried on was an exquisite mermaid gown with a deep V-neckline, floral appliques, tennis bracelet straps and layered tulle at the bottom. 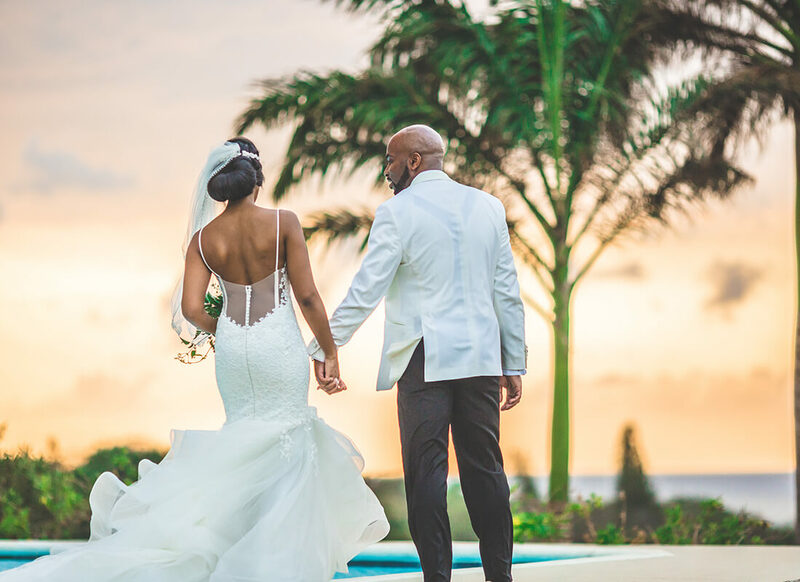 Marica fell in love with the one-of-a-kind dress and Pnina Tornai came in to see the future bride in the gown that she has designed. After complimenting the bride on how breathtaking she looked in the gown, Pnina then took her daughter around the boutique to have fun trying on headbands! 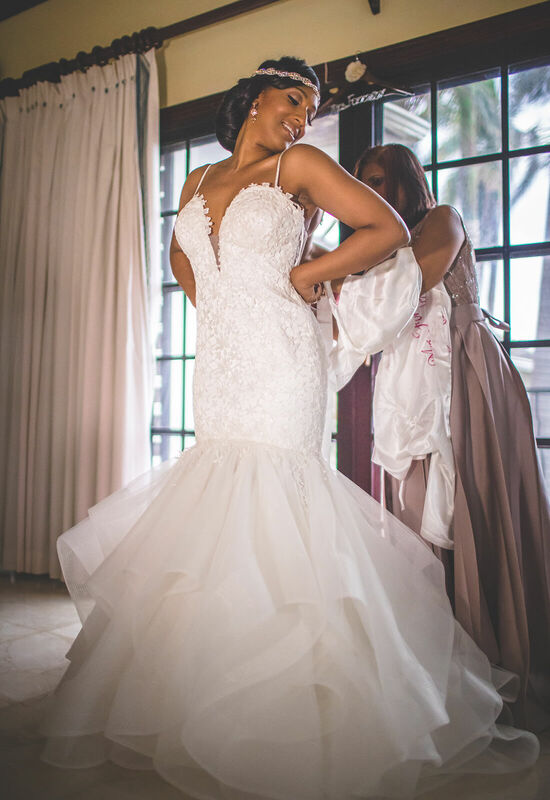 Since it was Marica's first time ever trying on gowns, she simply could not believe that the very first gown that she tried on would be “the one”. She walked out of the boutique that day empty-handed. 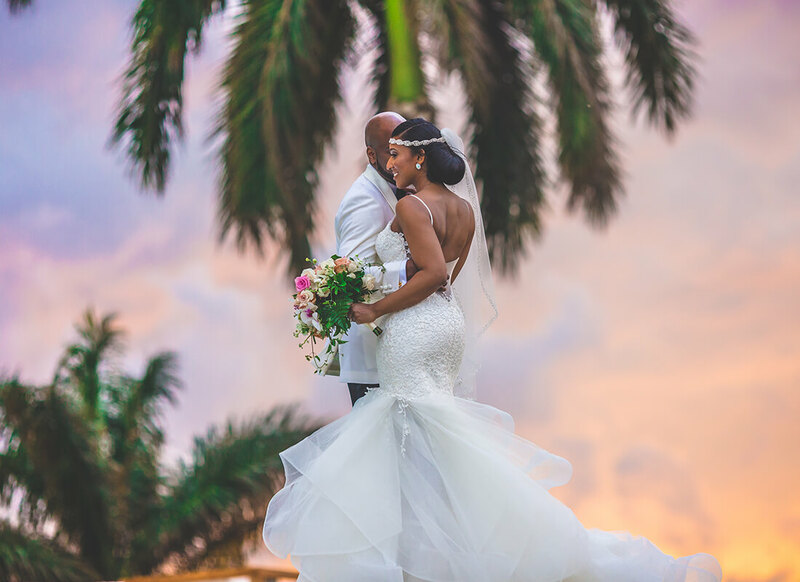 However, unable to get the visually stunning gown out her mind, Marica called the famous salon and finally said yes to her dream wedding dress. 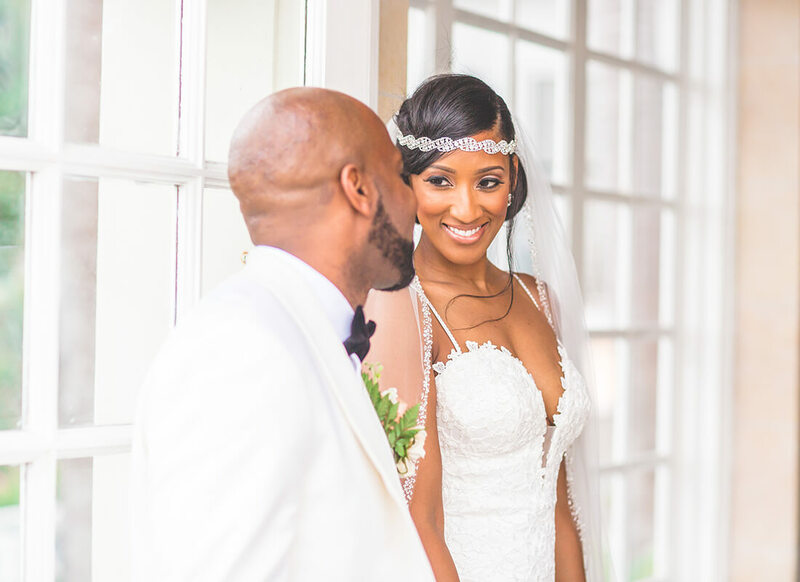 The gown had everything that the stylish bride was looking for and more! 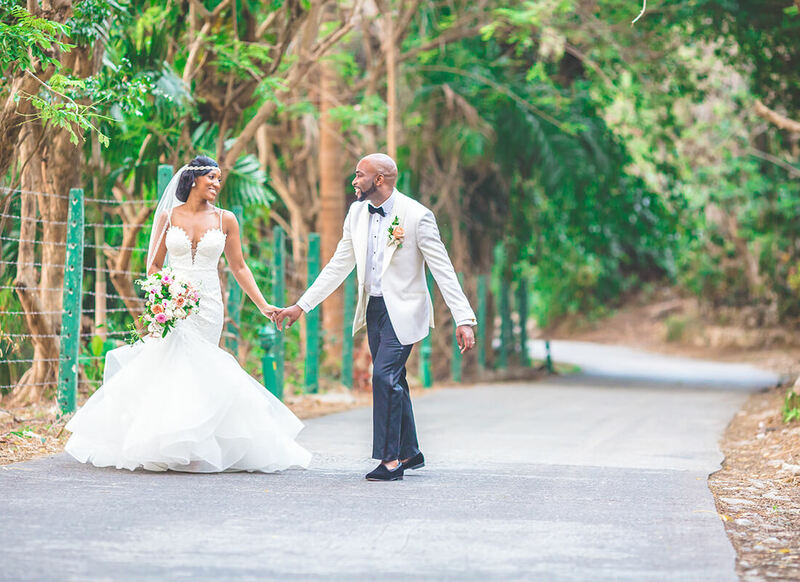 The floral appliques were great for evoking the summery and tropical vibe that the bride was wanting for her destination wedding. 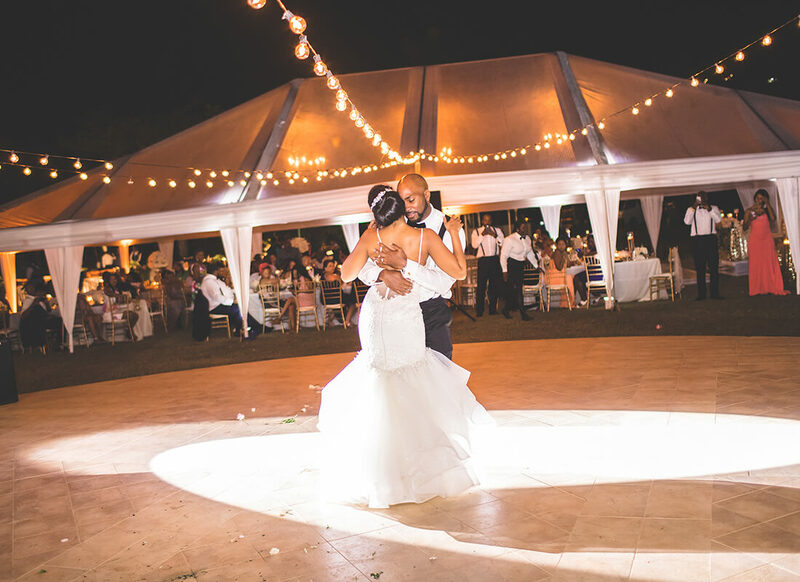 The tennis bracelet straps and the layered tulle at the bottom of the dress gave the gown the different feeling that Marica was looking for. 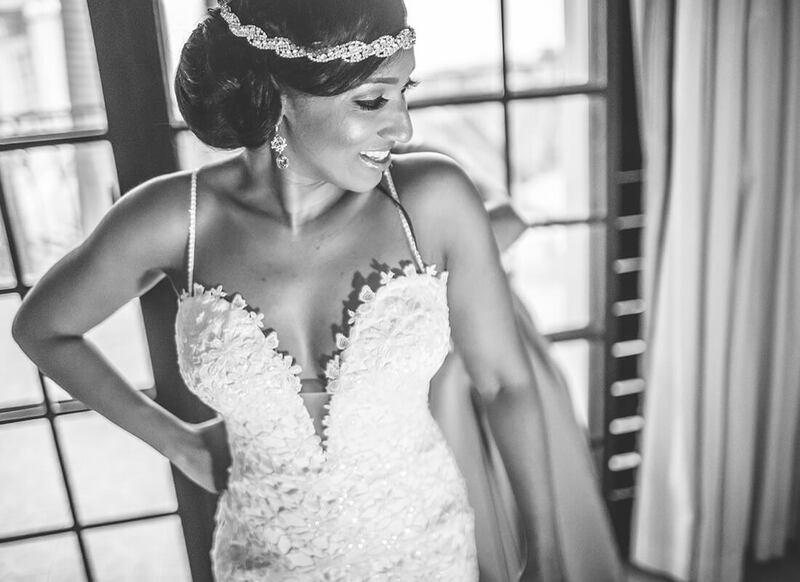 In fact, the softly ruffled layers are one of the main reasons that Marica fell in love with the unique dress saying that she had never really seen anything like that on other gowns. Lastly, while she was initially looking for a gown with a really long train, the train on the gown turned out to be the perfect length, looking like a soft layered tulip when bustled. 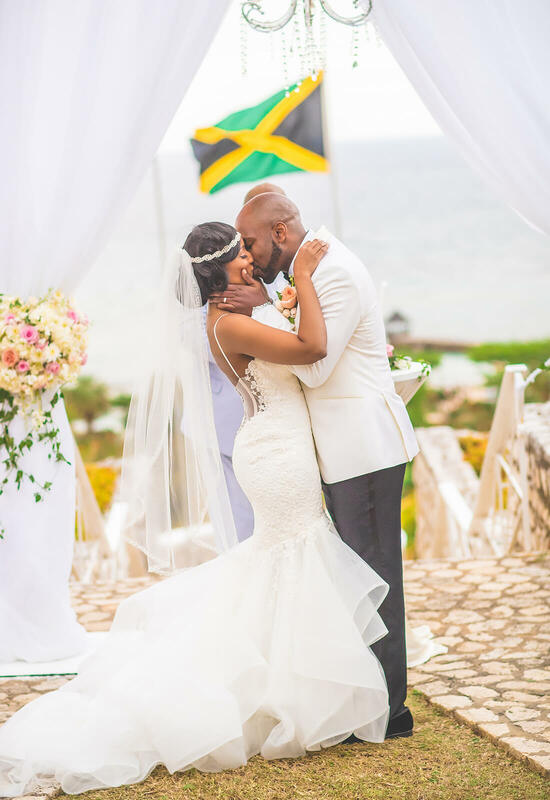 “I wanted the gown to feel like Jamaica and that was the vibe the dress gave me,” Marica recalls. 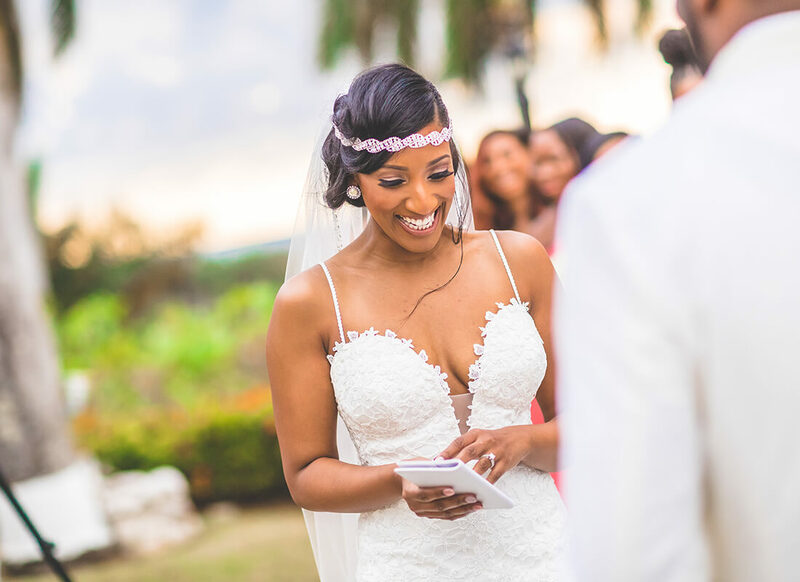 Having the perfect gown picked out, Marica was ready for her dream destination wedding in Jamaica. 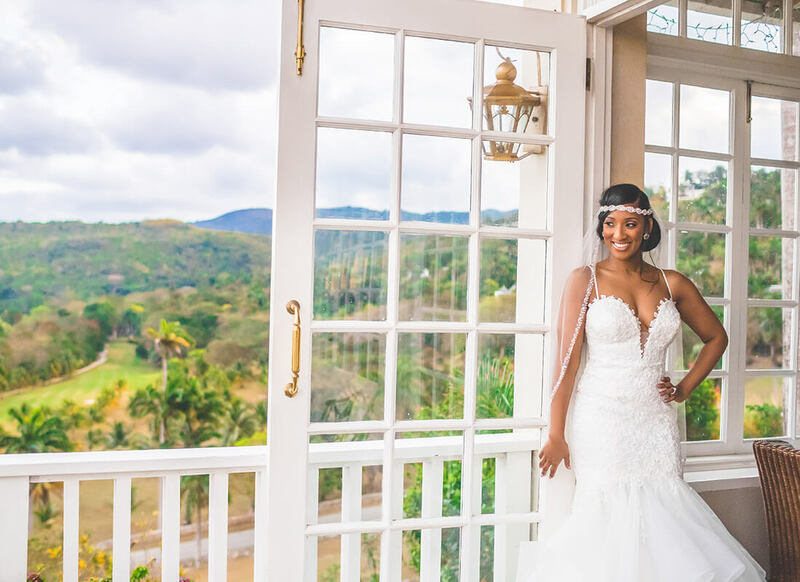 Side story: can you believe the airport wanted Marica to saran wrap and check in her fabulous wedding gown instead of letting her carry it onto the plane?! Thank goodness that after a lot of conversations, unfortunate tears, and fellow passenger support Marica was allowed to carry her exquisite gown onto the plane and avoid the many risks that can happen when checking in such precious cargo! 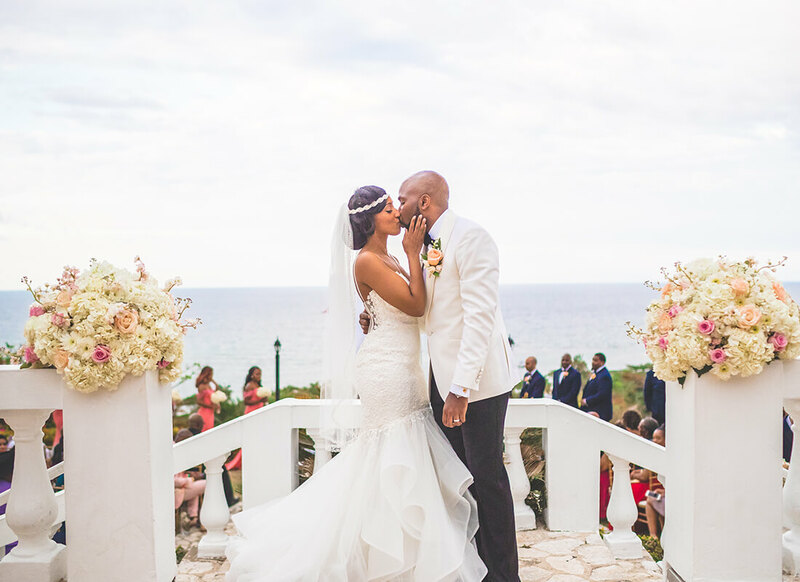 To compliment the gorgeous setting of their wedding, Marica and Rand used coral, blush, and gold for their décor. Marica's bridesmaids were also wearing enchanting coral gowns with floral straps to compliment the appliques on Marica's own gown. 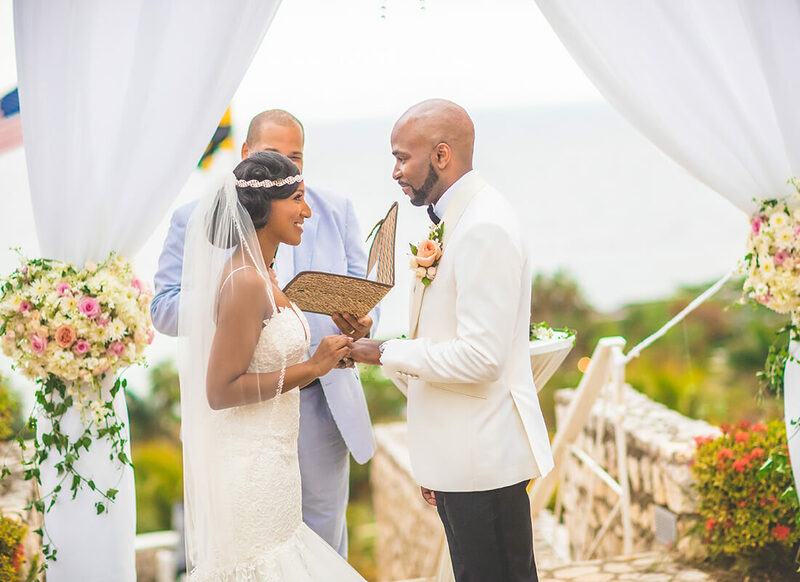 With a breathtaking view of the ocean to serve as their backdrop to the ceremony, there was no doubt that this wedding would be a truly rare and special affair. 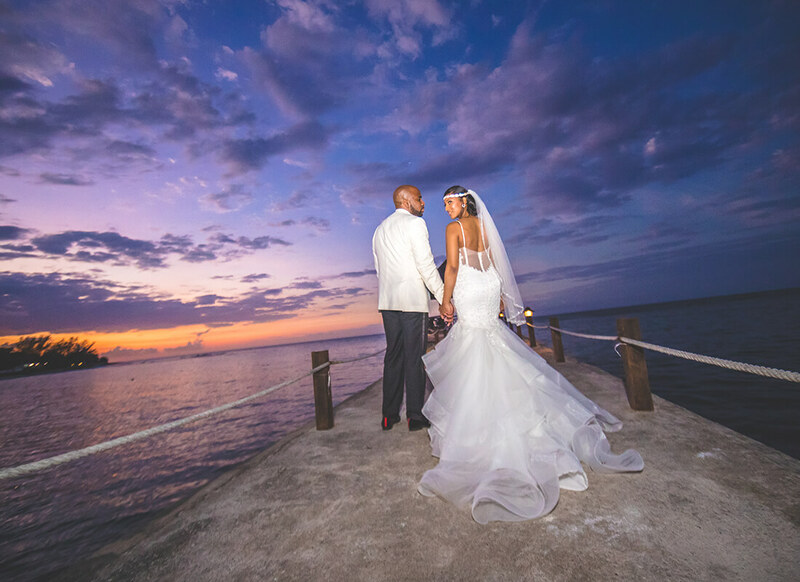 There was something more beautiful though than the wondrous ocean view and that was Marica in her show-stopping wedding gown. 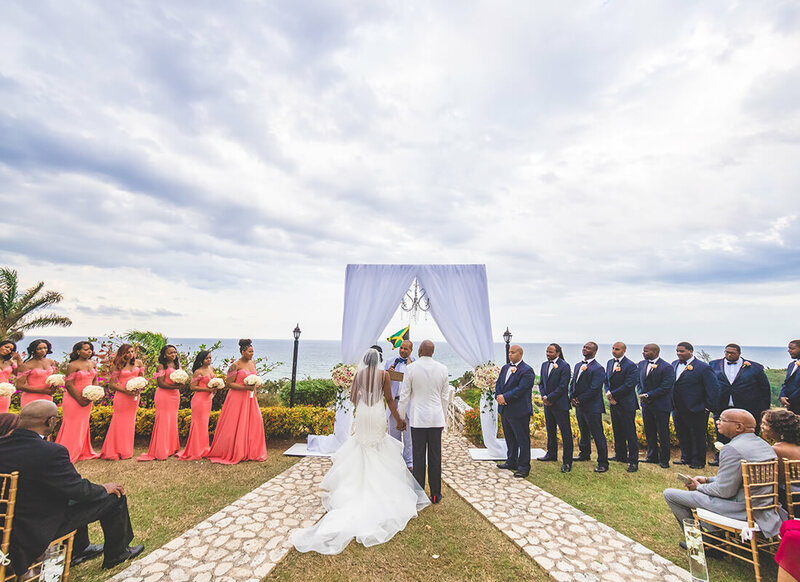 When the ceremony began and she came into view, all eyes were on her! 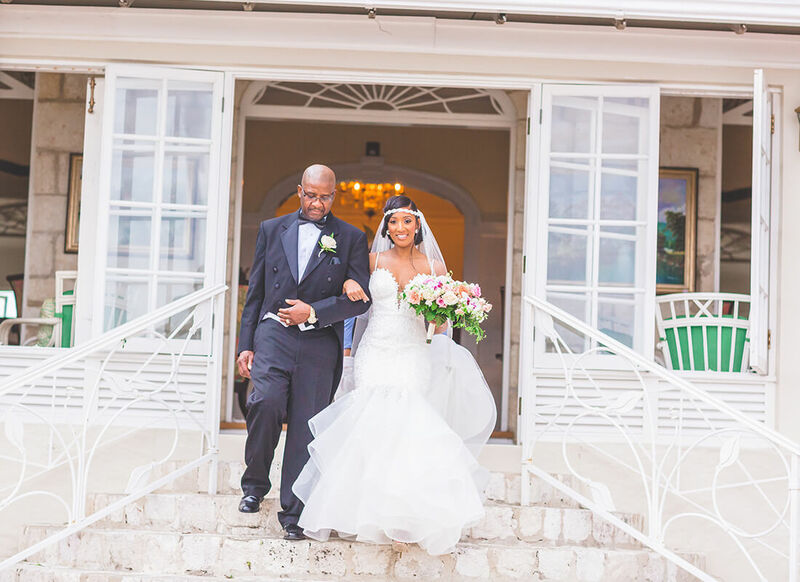 While all eyes were on Marica in her floral mermaid gown, her eyes were on her husband Rand. 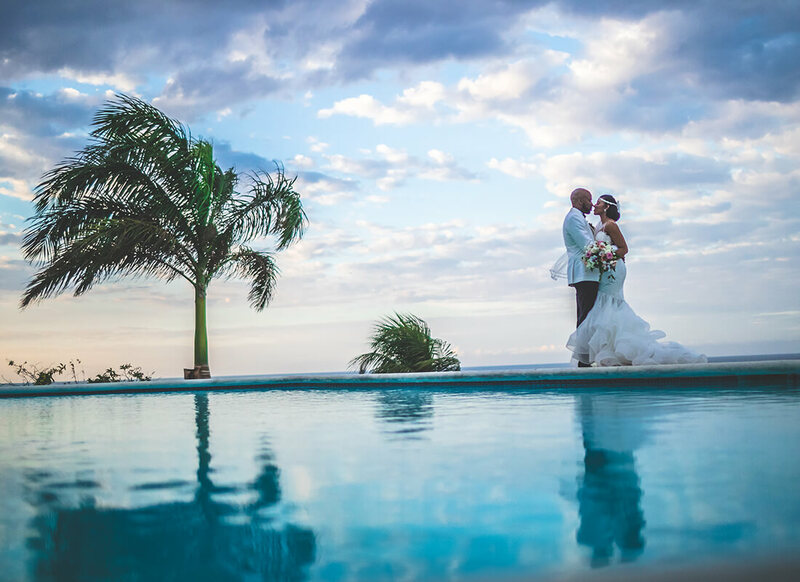 Marica and Rand said their “I do's” in this tropical paradise, ready to let this new stage in their lives fully bloom.